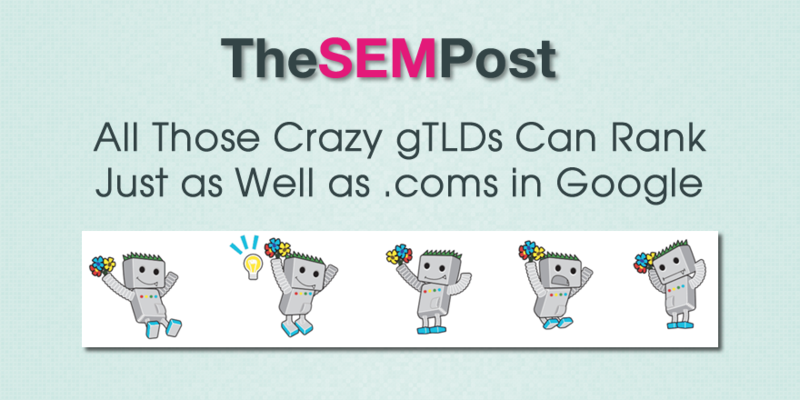 The last couple of years there are have been a ton of wild and wonderful gTLDs unleashed, and some of them see a little on the crazier side. Want to proclaim yourself a .guru? Have a restaurant and want to use .bar or .menu? Want to be a .ninja? While all these new gTLDs have mixed popularity, what about their value from an SEO perspective? Google has commented previously in a blog post that they treat all gTLDs the same as any other when it comes to their search index, something that both John Mueller, and even as far back as Matt Cutts, confirmed. But from a searcher perspective, we don’t often see sites using these new gTLDs very often in the search results, at least not ones that are noticed. So it does make sense that the question does come up repeatedly. Gary Illyes from Google took time out from his vacation to also confirm that Google does not view these gTLDs, such as .guru, any differently. I will have to start looking for examples of sites using these new gTLDs, as sites that do well despite not having a .com, for the next time this question comes up, which it surely will. My opinion here is that all of these studies that pop up saying that new TLDs don’t take up very much of the top-10 in search results is just because most of these domains are so new. Take a random 1,000 domains that are .ninja and another random 1,000 with the same age, link metrics for .com and I bet they aren’t that different in terms of their ranking ability. Now, that being said, I think that consumers are going to not be able to ID these domains anytime soon and I’m recommending that my clients stick to .com as long as they can get a reasonable domain name.